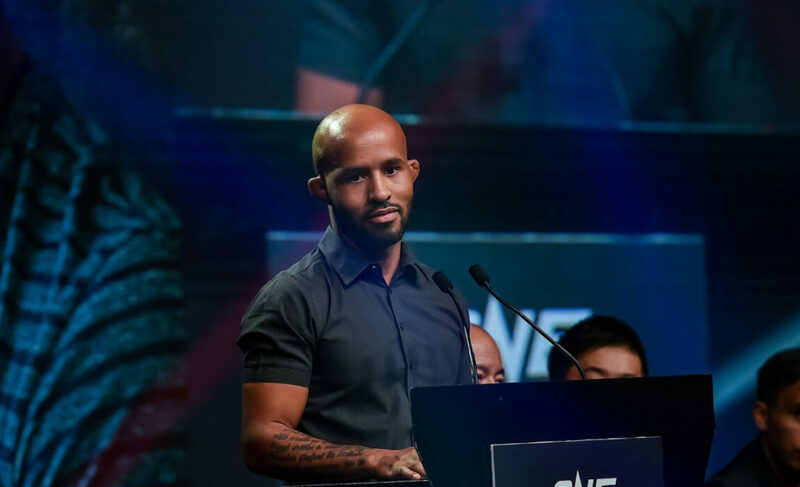 What's going on with ONE Championship's flyweight division? It’s no secret that ONE Championship’s flyweight division is in a bit of a mess. 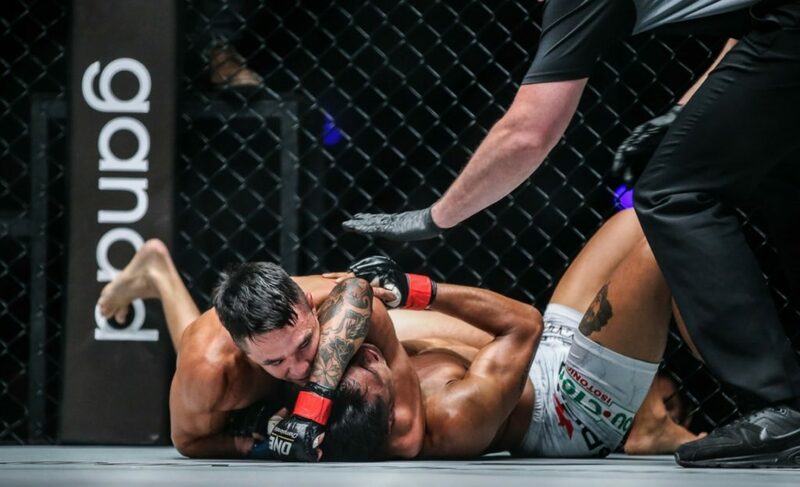 After Adriano Moraes withdrew from his ONE Flyweight World Championship main event matchup at ONE: Visions of Victory, it left Reece McLaren and Gianni Subba battling it out for a chance to challenge Moraes for his title. 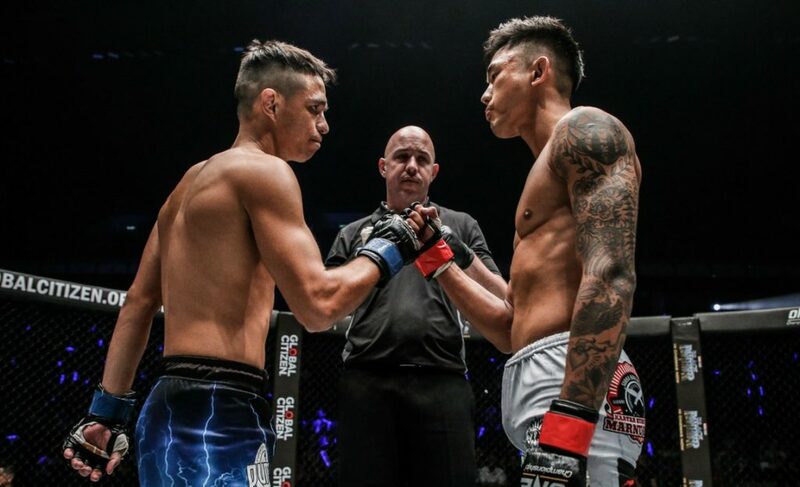 As McLaren and Subba competed for what was confirmed to be the #1 contender spot, Geje Eustaquio – the recently crowned interim champion – has been sitting on the sidelines watching all the action unfold. And to make things all the more complicated, undefeated Stefer Rahardian recently won a “title eliminator” in the flyweight division, as well. So, as satisfying as McLaren’s submission victory must have been for him in Kuala Lumpur, Malaysia, we can’t help but wonder what direction the organization will send the Australian submission-wiz next. In an attempt to make sense of these somewhat bizarre circumstances, we’ll break down all the events that have affected the flyweight division in 2018 alone. ONE Championship got the flyweight division started with a “title eliminator” bout at ONE: Kings of Courage on January 20, 2018. The matchup featured Stefer Rahardian (7-0) and Muhammad Imran (5-2) as the co-main event of the evening. 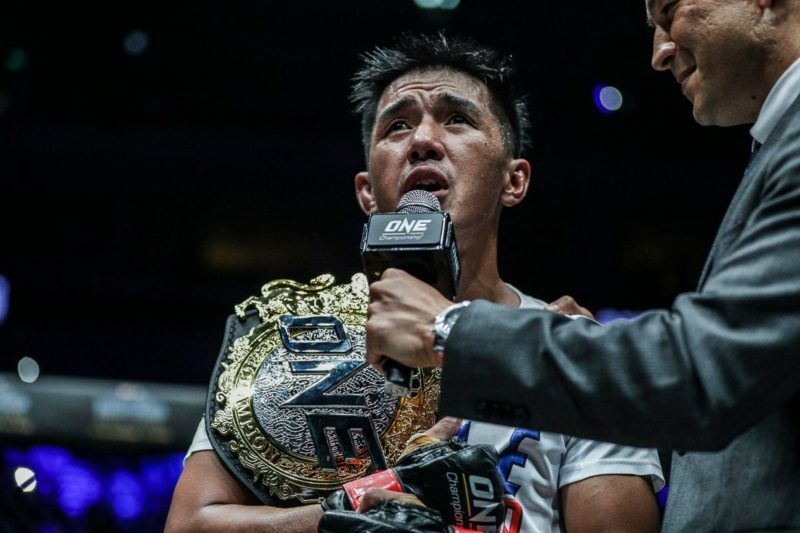 Adding to the spectacle of the matchup, ONE Championship labeled the contest as a “title eliminator.” The move was a clear attempt to feature a local Indonesian fighter in a ‘significant’ contest for all the fans attending the event in Jakarta. In fact, the situation closely resembles the “lightweight title eliminator” at ONE: Warriors of the World in December last year. If Wiratchai defeated Yakhyaev – as he was expected to – he would have been the front-runner to challenge for Martin Nguyen’s lightweight title. While it remains to be seen whether Yakhyaev will be awarded a title shot for his efforts in Bangkok, it certainly seems unlikely. Even if Wiratchai won the “title eliminator,” what would it have really meant? With the organization heading back to Bangkok, Thailand, on March 24 for ONE: Iron Will, Wiratchai needs to be featured on the card if they wish to continue growing his name. 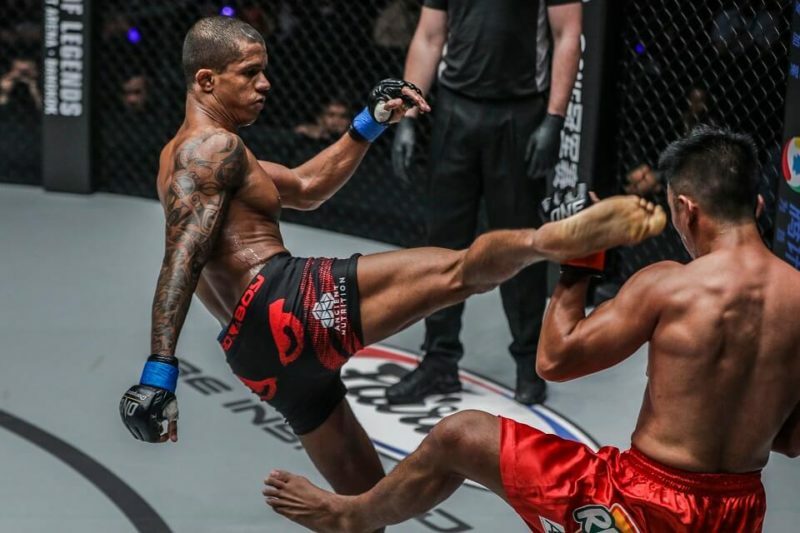 But with lightweight champion Martin Nguyen challenging Bibiano Fernandes in what is one of the most highly anticipated clashes of ONE Championship history, Wiratchai would have been asked to face another lightweight contender instead of cashing in his “title eliminator” win. Leave a comment below if you disagree, but a “title eliminator” bout sure sets the expectation that the winner will go on and challenge the champion for their title in the near future, if not before anyone else. Yet, this seems unpromising in both of these scenarios. 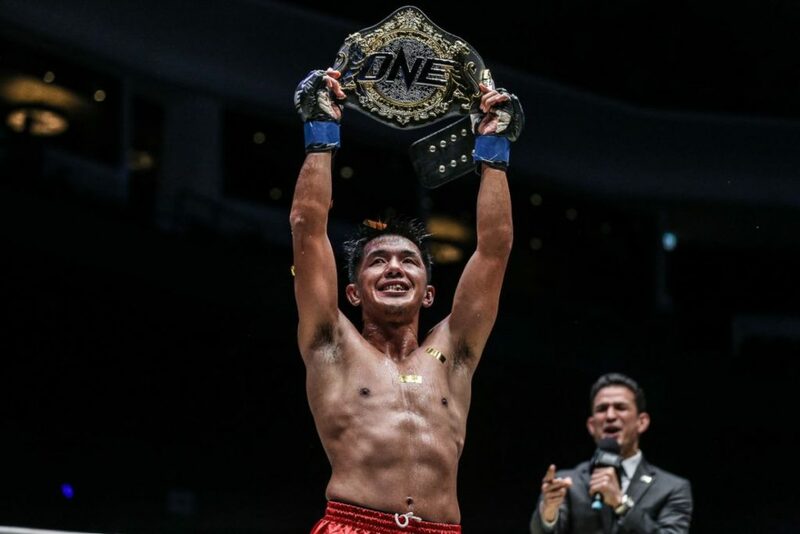 Just one week after Rahardian defeated Imran in what was advertised as a “title eliminator,” Geje Eustaquio and Kairat Akhmetov – two of the very best flyweights in ONE Championship – collided for the ONE Interim Flyweight Championship. Eustaquio became the division’s interim flyweight champion after scoring a unanimous decision victory in front of his fans in Manila, Philippines. The fight proved to be an entertaining affair and the local fans were pleased to see Eustaquio and Joshua Pacio close out the action with brilliant victories. By the end of the night, the flyweight division had seemingly moved on from Rahardian’s victory. It turns out that neither matter. If an interim title or “title eliminator” had any sense of remaining credibility, it was all thrown out the window when the organization offered Reece McLaren a shot at the ONE Flyweight Championship not long after Eustaquio’s thrilling victory. This move was the penultimate spanner in the works. McLaren had recently navigated his way to an impressive submission victory in his debut in the flyweight division in November last year. If we’re talking about talent, McLaren is up there with the best of them in the division. But if recent accomplishments in the division were anything of value toward a title shot, McLaren should have been behind both Eustaquio and Rahardian. A crushing blow to the flyweight division came when Moraes withdrew from his scheduled ONE Flyweight World Championship bout with McLaren. The last-minute scramble to reshuffle the event saw the organization pivot to a featured matchup between McLaren and Gianni Subba. The bout – the first of the three without any official ‘impact’ – was confirmed to Subba as a #1 contender bout and the winner would be the “clear cut” next challenger for Moraes. So at the end of ONE: Visions of Victory, McLaren’s victory over Subba has seemingly put him at the front of the line for a shot at Moraes and the ONE Flyweight World Championship again. This is all despite the fight not having any official significance. Even if the organization wanted to title it, they couldn’t. The interim title had been created and won, and Rahardian had supposedly done enough to challenge Moraes, as well. But Moraes’ injury is most problematic because it seems as if the intention behind the ONE Interim Flyweight Championship was not to award Eustaquio a title shot immediately, but leave that option there until the organization swings back to Manila later this year. Ideally, Eustaquio would have been challenging for the title on April 20 at “Heroes of Honor” or “Reign of Kings” in July, but both of these dates are starting to seem doubtful now. If Eustaquio is to challenge Moraes at “Heroes of Honor” (Moraes should be healthy again by then), then McLaren’s title shot has been snatched away from him through no fault of his own. Whether it was right or wrong, McLaren was the only fighter in the division that was supposed to fight Moraes most recently. The contest fell through and he then accepted and powered past a short-notice and dangerous opponent in Subba. Considering that Moraes’ injury is not severe, there’s a chance that we might see the champion return to action in just a matter of months. Until ONE Championship actually does something to prove that an interim title or “title eliminator” is of any importance, it should be Reece McLaren challenging for the ONE Flyweight World Championship. If McLaren doesn’t get his shot, it’s a hard pill to swallow for the Australian fighter who has been a victim of circumstance. 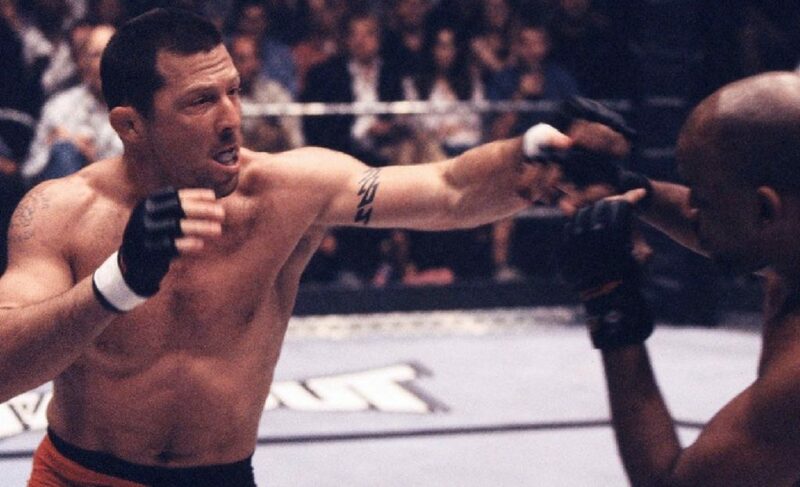 At the end of the day, most fans (and maybe even the athletes) don’t care too much about what is ‘right’ when it comes to mixed martial arts. But as someone who wants some clarity about the meaning and significance of things such as an interim title or a “title eliminator,” some of this needs to make some sense, at least? In fairness when the commentators would mention the Subba – Mclaren fight they did say it would be for a title shot “in the future” as to leave it vague enough to exactly when the fight would be and in what order.